Welcome back! Hee hee! I get a kick of this! You know me, I'm always looking for a way to use Halloween images all year long. 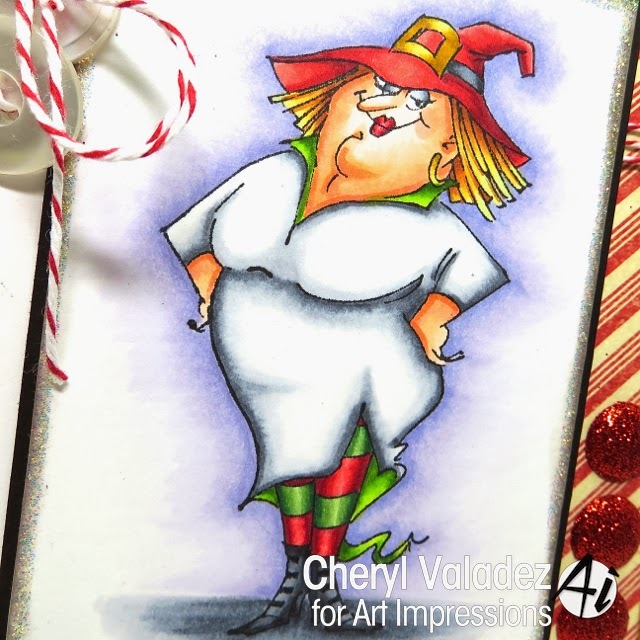 With that in mind, I couldn't resist taking Witch Wanda and transforming her into a Christmas Witch. Wanda really doesn't possess much in the way of magical powers. Heck, I don't even think she owns a broom! BUT, the one thing she CAN do is make you smile :) And that's all she really needs to do. 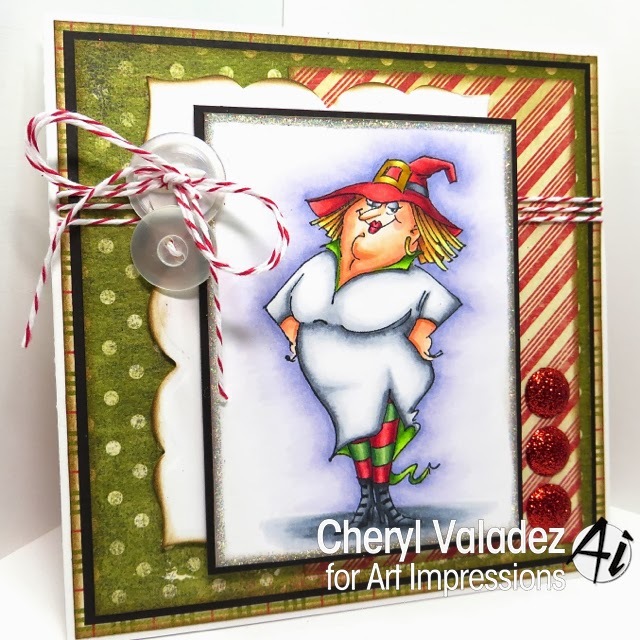 You can find Witch Wanda in the Art Impressions Shop and be sure and visit the blog. There are postings EVERY day, so lots of inspiration to go around. Love her and love your colouring.